The Greek “Immigration and Social Integration Code” (Law 4251/2014) gives the opportunity to third country nationals who proceed to the purchase of real estate, as well as in case of an investment in a number of profitable sectors of Greek economy based on a positive suggestion of the responsible directorate of the Ministry of Finance, to obtain permanent residence permits (aka Golden Visa). While the program is offered in a number of European countries, the Greek Golden Visa Programme appears to be one of the most competitive and therefore attractive programmes. The financial requirements are low and there is no requirement for physical presence of the investor. As regards the purchase of real estate, according to article 20B of Law 4251/2014, Golden Visa can be granted to owners of real estate, the value of which exceeds EUR 250,000.00. The procedure consists of two parts: a) the purchase and b) the submission of the application along with the required documents. For the purchase of an apartment/house, from the legal point of view the most important steps are (i) the property titles search in the competent land registries and cadastral offices by a lawyer and (ii) the drafting of the notarial purchase contract, which is obligatorily signed before a notary public. The title search is the process of checking the ownership status of the property as well as the existence of any burdens (e.g. mortgages) and any claims of third persons over the property. Purchased property can be either residential or commercial, while it can also be either a single or multiple buy as long as the price surpasses the EUR 250,000.00 threshold for each owner (with an exemption for spouses). For the purchase, the prior acquisition of a Greek Tax Identification Number (TIN / AFM in Greek) will be also necessary. For acquiring a Greek TIN -by the Tax Office for Residents Abroad- it is necessary to appoint a natural person as tax representative in Greece. The tax representative should be a resident of Greece and has the role of contact person only for tax purposes and tax authorities. Furthermore, the investor has to open a bank account in Greece. In addition, applicants will need to have a clear criminal record and medical insurance to cover their stay in Greece. The procedure of submitting the application for Golden Visa follows the purchase of the apartment. All necessary documents, along with a special proxy to a lawyer, which must be given during the presence of the applicant in Greece (when the applicant has an active VISA of type C or D for Greece) are submitted to the Secretary General of the Decentralized Administration. The applicant receives a Certificate of the above submission, the so called “Blue Paper”. The authority will also take the biometric data / fingerprints of the applicant; this procedure may take place either at the day of the application or later after an invitation from the authority. The residence permit is usually issued within 3-4 weeks from the submission of all documents to the above authority. The duration of Golden Visa is 5 years and it can be renewed, provided that the investment is maintained. The law provides also for the possibility of granting residence permits to the members of the families of third country nationals-investors: (i) the spouse (ii) the lineal descendants of the spouses or either spouse, who are under 21 years old, (iii) the lineal ascendants of the spouses. The residence permit allows the applicant to live in Greece but not to work. However, the applicant can after that set up business in Greece. Once granted, the Greek residence permit allows freedom of travel throughout the EU Schengen zone. 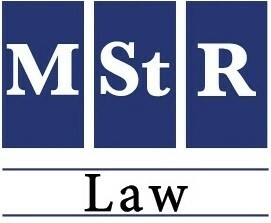 MStR Law supports regularly non-EU investors to safely buy properties in Greece or invest in other sectors of Greek economy, covering at the same time the entire application process for acquiring the Greek Golden Visa. For more information, you may visit our website http://mstr-law.gr/ or contact Mr. Nassos Michelis (michelis@mstr-law.gr) or Mrs. Eva Keki (keki@mstr-law.gr).